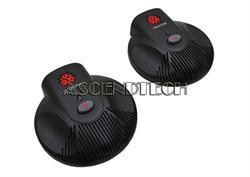 Avaya - Definity 7410D+ Avaya Difinity 7410D+ Black Multi-Line Conference Desktop Telephone 7410D01A-003. 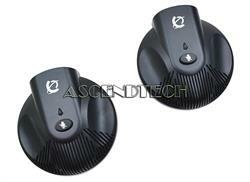 Nortel - NTEX11DA70E6 Pair of Nortel NTEX11DA70E6 IP Audio Conference Phone External Microphones 2201-07155-607. 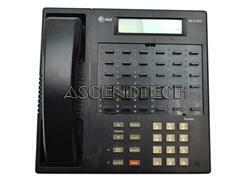 Avaya - Lucent The Avaya Lucent Partner MLS-34D business phone is a speaker display phone with 32 programmable buttons. The MLS-34D phone has conference transfer and hold buttons. 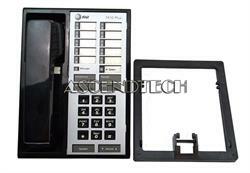 The Partner MLS-34D phone comes in black. SPRACHT - Spracht Aura SoHo Conference Phone - Silver - Corded - 1 x Phone Line - Speakerphone CP2016 SPTCP2016 pg.747. SPRACHT - Spracht Aura SoHo Plus Conference Phone - Black - Corded - 1 x Phone Line - Speakerphone CP-2018 SPTCP2018 pg.747. Vtech - VCS704 VTech ErisStation VCS704 DECT 6.0 Conference Phone - Cordless - 150 ft Range - 1 x Phone Line - Speakerphone - Backlight VTEVCS704 pg.747.